2) and strengthen the attention to the evaluation of the impact of the activities in key intervention areas. The target of this strategy was clearly to be capable of operating in a way that is always more in line with the requests of the key stakeholders of the organization. The Digital Unify Program offered free computer access and training to 505.190 beneficiaries since its inception and as of December 2017. On April 12 2017, the ST Foundation Board decided to name a new Board Member. The Directors acknowledged the resignation of Mr. Tjerk Hooghiemstra due to personal motivations. Further, the Board elected Georges Penalver as a new Member. The Board members and the ST Foundation’s staff have warmly welcomed Mr. Penalver onboard. 2017 represents a major milestone in the ST Foundation 14 years’ activity. The continuous implementation of the model lab concept in the countries of intervention helped the organization reaching two important objectives: 505.190 trainees were reached since the inception of the program, and 102.069 students took part in the ICB and Tablet for Kids classes only in 2017. In 2012 the Board Members of the Foundation approved a new expansion strategy focused on two main axes: concentrate the efforts in the Sub-Saharan African countries while increasing the presence of the DU Program in the ST countries. This approach was strictly followed in 2017 too. 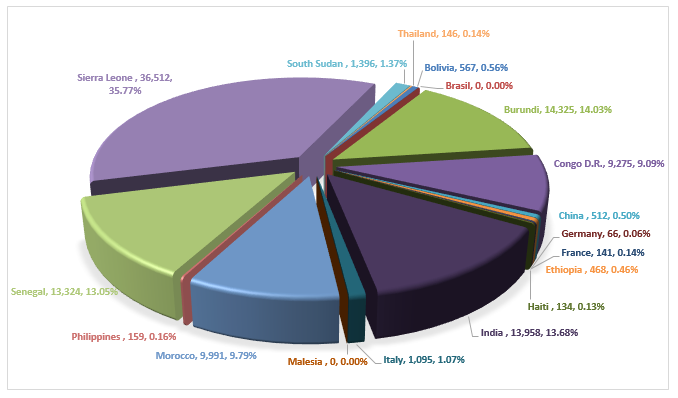 In fact, the DU program was reinforced in Africa with a particular attention to the efficiency of the DU Labs in all countries of intervention. In parallel the Foundation reinforced its presence in ST countries, emphasizing the increase of the number of labs. The launch of a new partnership approach to implement the DU program to open new possibilities of collecting extra funds. The cooperation between the ST Foundation and the ST Corporate External Communication team went on well in 2017. Thanks to the good collaboration with the ST team, the 2016 Annual Report was prepared and distributed to ST Foundation key stakeholders. The purpose of the document is to update the internal and external public on the DU program performance, giving insights of the key moments the organization lived along the year in the different intervention areas. It went on also the organization of the Energy Run, an obstacle course mud race that has come to its second edition and that took place on September 16 in Aldo Moro Park, near the ST site of Agrate (Italy). For the second year, with the support of the ST and of the Italian volunteers, the “Energy Run” was organized with the scope of increasing the visibility of the activities the Foundation is carrying on in Italy and abroad while collecting extra funds. The results of the event outperformed those of last year with: over 600 participants; 50 kids having fun and experimenting the run; over 8.000 euros collected with the event. On April 21, OCCAM (the UN Digital Communication Observatory) invited Giovanna Bottani as a speaker at the Infopoverty World Conference held at the United Nations Headquarters in New York to present the activity of the ST Foundation. The initiative was started in 2001 to introduce the most innovative solutions and the best practices elaborated by the United Nations system, governments, and the civil society to fight against poverty using ICTs tools. It represents, for its continuity, operational capability, strong interoperability with the UN system and unique in its kind, a global forum on the digital revolution in continuous development due to its Infopoverty community, formed by experts, academics, opinion leaders, managers, government officials, philanthropists, and artists. In this context, the Foundation was invited to share its experience on how the digital revolution could be a powerful tool to empower people’s lives in disadvantaged countries across the world. After the participation at the conference on May 8, Pietro Fox signed a Memorandum of Understanding with Architect Saporito, president of OCCAM, expressing the will to provide the expertise in the setup of a computer center in the ICT village of Sambaina, in Madagascar, to relaunch the activities of this particular center. Created in 2005, it was then visited, the year after, by Jeffrey Sachs, Special Advisor to Secretary General Kofi Annan and proclaimed Millennium Village by the United Nations. From 2009 since today, the activities were put on-hold because of the political situation of the country. At present the context is again positive and ready to redesign the initiative. In 2016 the Board of Directors of the ST Foundation approved a cooperation with the Research Center of the Catholic University of Milan (ALTIS) to launch an impact analysis project on the DU Program. 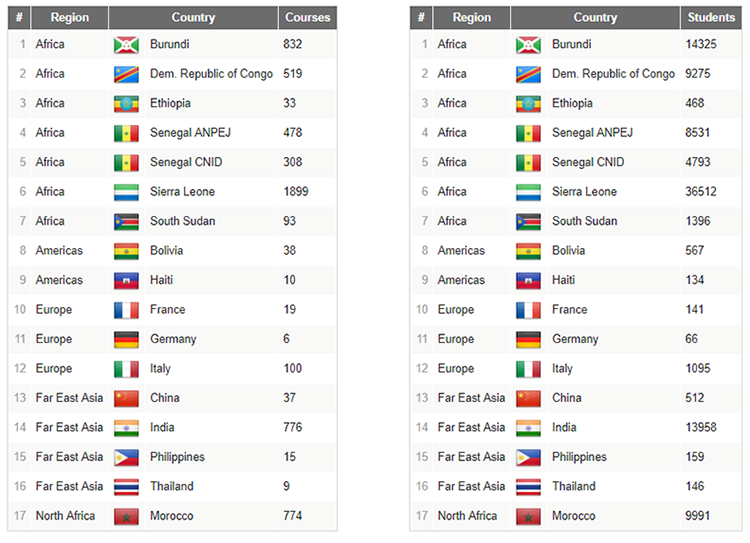 The project, implemented in three crucial countries (Burundi, India and Morocco), was designed to understand the mid-term effects or changes (i.e. the outcomes) produced by the DU Program involving the program’s key actors: participants, their families, trainers, and ST Foundation local partners. It has been noted that for the areas of ICT competence and utilization of the PC, after the ICB course there has been an overall increase of all the considered dimensions with peaks of more than 50% for specific skills like send emails, do easy calculations, reading e-documents and emails, use social media etc. Moreover, the effects of the ICB course goes beyond these learnings and trainees (both students and employed/entrepreneurs) agreed on the fact that “they have improved their working/school performance looking information by internet and sending mails”, and “Excel helps them to succeed in their studies. Trainers experienced positive changes due to the DU Program; in fact, a key component of it is the emphasis on trainers’ professional development. 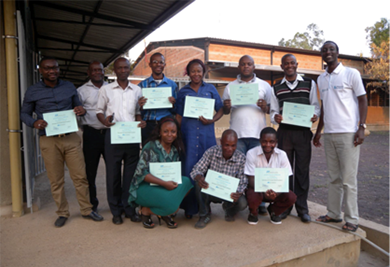 Most trainers reported that they learned new ICT and teaching skills and gained positive attitudes on technology and teaching. Precisely, trainers felt that they improved their “ability to organize the content of lessons” (+ 16.9%), and they also showed a positive attitude towards to assist students in working together in groups (+ 15%). These results are consistent with the qualitative interviews. 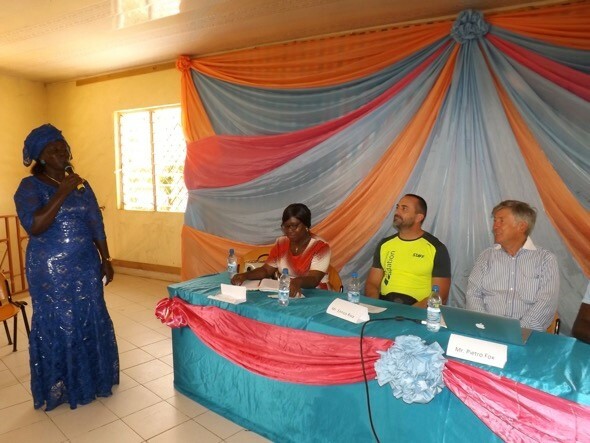 In all three countries, trainers stressed positive outcomes on their professional/personal development, emphasizing an improvement in their technical skills and in the relationship with participants, colleagues, and local communities. The global results of the project are clearly encouraging and show as not only the ICB course is having positive results on the students, but also on the communities they belong to offering to their families, trainers and schools better chances to develop technical and organizational skills. Moreover, specifically trainers and partners can see their reputation on the field increasing through the ST Foundation’s partnership and this allow them to open new networks and further collaborations. The ST Foundation online reporting system that was implemented officially in January 2016 is now working well in all intervention areas and thanks to the tool the organization can monitor in real time all the activities. In 2018 it will be also used for monitoring the impact of the activities in all the 18 countries where the Foundation is present to give continuity to the project carried out with the Catholic University. With the same tool, at the moment we can also monitor interesting details on the profile of the beneficiaries attending the courses. In June 2017, the ST Foundation decided to take part to a tender promoted by AICS (Italian Agency for Cooperation and Development). Giovanna Bottani prepared the project’s proposal together with ACRA, the leader organization in this partnership. At the end of December, the Foundation received the good news that the tender was won. The name of the project is: starting from young people, engine of local development and support to a conscious migration. It will be implemented in Senegal and Guinea Bissau for a three years’ period with the scopes of: a) improving the living conditions and concrete educational/job opportunities of young people – 3.600 direct beneficiaries aged from 15 to 35 years old – living in the regions of Sédhiou, Kolda and Gabu (key starting point of the recent migration flows); b) creating awareness on what migration really means and implies; c) supporting the socio-economic reintegration of returning migrants. For implementing this project, the Foundation will receive a total grant of: 86.000 euros. The Foundation together with other well-known partners such as ACRA Foundation, Mani Tese, the State University of Milan, the Milan Municipality and several local partners in Senegal and Guinea will work providing its competences to give alternatives to migration reaching a total number of 1.307.467 indirect beneficiaries. The ST Foundation launched a new initiative in Sicily. The selected partner was Cara di Mineo, a consortium based in Catania whose scope is to create a “city for migrants” and for all those people who are escaping from poverty and hunger. At present this organization is hosting over 3.000 migrants and can be considered the biggest reception center in Europe. The project was proposed by Giuseppe Notarnicola and with the support of Enrico Riva and the volunteers of the ST site in Catania it was finalized the agreement to officially launch the activities in the first semester of 2018. In January Mauro Decca, while visiting Congo and Burundi for a non ST Foundation project involving the setting up of a large photovoltaic system to supply electricity to hospital in Ulvira, Congo, took few days to meet the country representatives of both countries, to discuss: with the first the best ways to proceed to the extension of the program and carry on a general audit of the labs’ performance; and with the second the possible solutions to reduce the internet costs, very high in the country, while also evaluating the future of the existing programs. 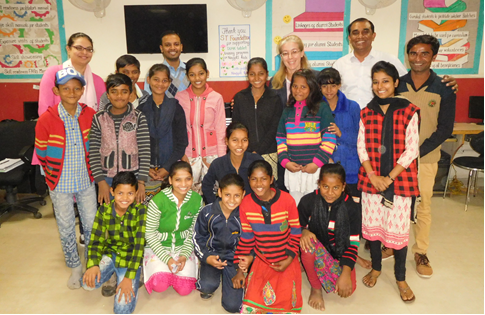 Kamal Deep Jain, project manager of the ST Foundation activities in India, visited the Philippines for a five days’ mission in February to organize a session of the Train the Trainers course for the expansion of the new informatics course for children (Tablet for Kids course) in the country. The course was successfully organized at the ST plant of Calamba. A new team of volunteers is now ready to boost the Tablets for Kids Program in the country. Pietro Fox and Enrico Riva visited Sierra Leone in July. The key purposes of the mission were to: meet the representatives of Afcom, internet provider that is currently providing internet for free in all the DU centers; plan the start of the Tablet for Kids course; attend a celebration where more than 120 people were present including trainers, partners, UNICEF and Ministry of Youth representatives; and launch a first pilot run for advanced courses at the Family Home Movement Youth Centre. Emmanuel Kobby and Augustine Sellu (two of our best trainers in the country) successfully organized the course. 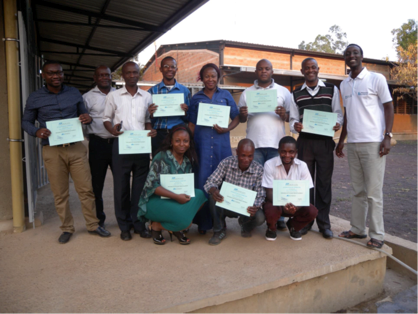 In August an ICBF course took place at the “Centre des Ressources” in Lubumbashi (DRC) with the support of Arnaud Arakaza, local activities’ coordinator for Burundi. This experience was important and it can sign a new possible approach for the implementation of the DU program. In fact, for the kick-off of the project the Foundation signed a MOU where the organization was only responsible for the educational aspects while the partner was in charge of all the logistics, covering the running expenses and the equipment’s costs. 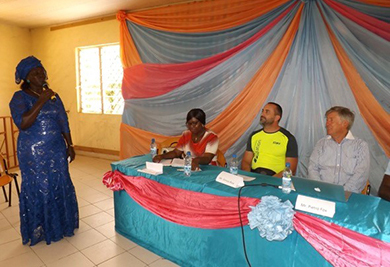 In September Mauro Decca visited Senegal with the following purposes: evaluate the existing collaboration with the CNID and the ANPEJ; audit the results of the existing program and plan the future cascading of the Tablet for Kids course in the country. In October the Tablet for Kids course was launched in Morocco. In Temara the Foundation, with the precious support of Farah Arron, local representative of the country, tested the course finalizing the training material and customizing it to the local context. New possible partners have already been contacted to explore future collaborations. 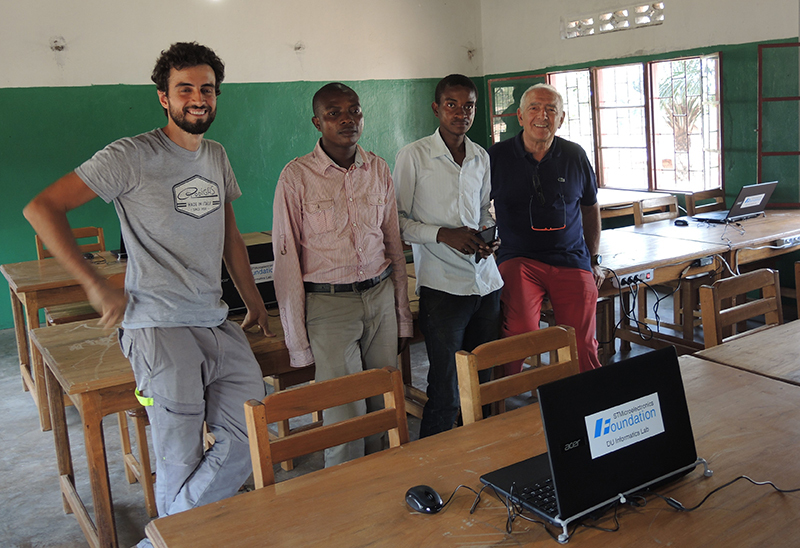 In November, Enrico Riva and Mauro Zappa (active volunteer from the ST site of Agrate) visited Sierra Leone with the scopes of: visiting several labs across the country to audit them verifying the activities and the equipment; meeting local partners that are actively supporting our activities; and preparing the kick off of the Tablet for Kids Project. The set-up of the equipment was successfully accomplished at the Reffel school and the trainers for the further cascading of the course were selected. The test will begin in Q2 2018. 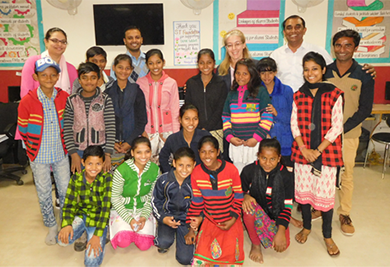 In December Giovanna Bottani went to India on a personal visit with the following purposes: familiarize with the Tablet for Kids activities and visit two Tablet for Kids labs to start, during the first semester of 2018, the further deployment of the course in Africa and more specifically in Senegal and Sierra Leone; meet ST Volunteers and Management to present the results the Foundation has reached so far and to share the good practices implemented in the different countries; discuss on how further improve the penetration of the ST Foundation’s activities in India; and share the impact analysis outcome.